James Nasmyth by Lock & Whitfield. Licensed under Public Domain via Wikimedia Commons. James Nasmyth (1808-1890) was born Edinburgh to an eminent landscape painter (Alexander Nasmyth) whose hobby was mechanics. One of his brothers was Patrick Nasmyth, a landscape painter, who depicted scenes in Lambeth. 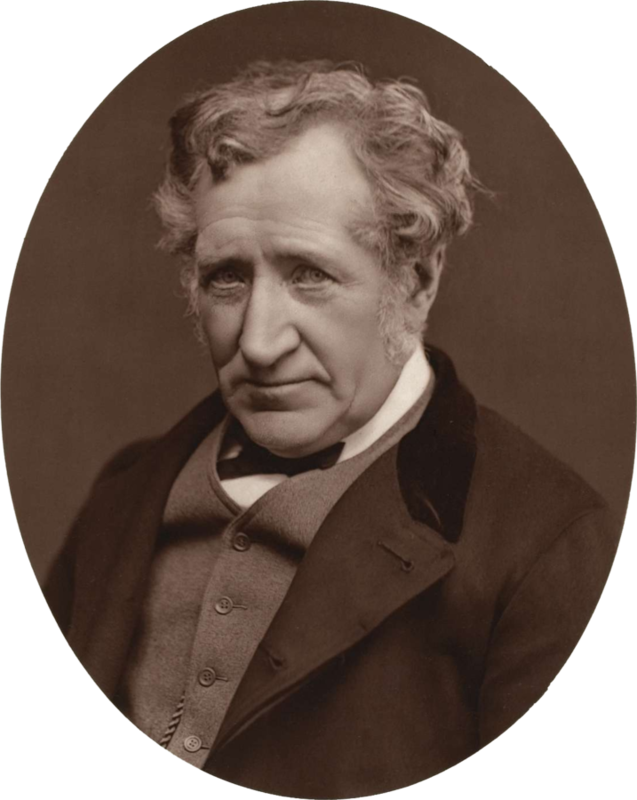 As a schoolboy, Nasmyth played in his father’s workshop and showed a great mechanical aptitude in building successful model steam engines. His ambition was to become a mechanical engineer and in 1829 he visited Henry Maudslay‘s machine shop in Lambeth, showed him his drawings and was appointed Henry’s personal draughtsman at 10 shillings a week (50p). After Maudslay’s death in 1831, Nasmyth carried on working for Maudslay’s partner Joshua Fields before setting up business on his own. In 1836 he began to build his own foundry near Bridgewater, making machine tools of all kinds along with a variety of steam-powered machines. He designed a powerful steam hammer, which he patented in 1842. Besides steam hammers, Nasmyth built over 100 steam locomotives, many small high-pressure steam engines, and a variety of pumps, hydraulic presses, and other machines. He retired at 48 to carry on his hobby of astronomy.